“I need your vote!” “I want to vote.” “Are you going to vote?” These phrases run, like a strong, connective thread, through Thalia’s Umbrella’s upcoming production of Richard Nelson’s smart, funny and very timely play Sorry, set on Election Day, 2012. But with this play, nothing—including voting—is ever just what it seems. Are we doing the right thing? How do we make the right choice when we haven’t all the information? How do we move forward—with family, friends and the society around us—when we don’t, and can’t, ever fully know the consequences of our choices? All of these questions—handled with humor and poignancy in Sorry—became immediate to me recently when I noticed the connection between the play and our own Congressional race here in Western Washington’s District 7. With the retirement of long-term, liberal Congressman Jim McDermott, a host of Democrats have announced candidacies to succeed him. Not surprisingly, all are openly proud of their progressive principles. So much so, that after a recent debate among seven of the contestants, one media outlet made the snarky comment that “the contest is turning into sound-alike sermons to the liberal choir,” with “fireworks as muted as one of those historic Seattle Fourth of July celebrations marred by low-hanging clouds and drizzle.” I suppose the media would be happier if one of the candidates proposed building a wall to keep out [insert your favorite least-favorite group here]. In Sorry, one of the siblings, a long-time, dedicated government attorney who has recently—and unhappily—moved into corporate practice, derides the lack of real choice in elections, both nationally and locally. “There seems to be a guy running up here named ‘Gibson’ with a ‘b.’ And another guy running named ‘Gipson’ with a ‘p.’ I suppose that’s a difference.” He uses this example, and others, to justify a stance that implies there’s no point to voting, because “the way I see it now is that most people seem to just want somebody who can articulate their hatreds.” He says it’s not enough to know what we’re rooting against; we need to know what we’re rooting for. Good point, but isn’t it his responsibility—as a citizen—to try and help figure that out? You can help figure that out by coming to see Sorry; you can also reject the snarky media comment I quoted above, and really take the time to learn about the candidates for our very, very important Congressional District Race. 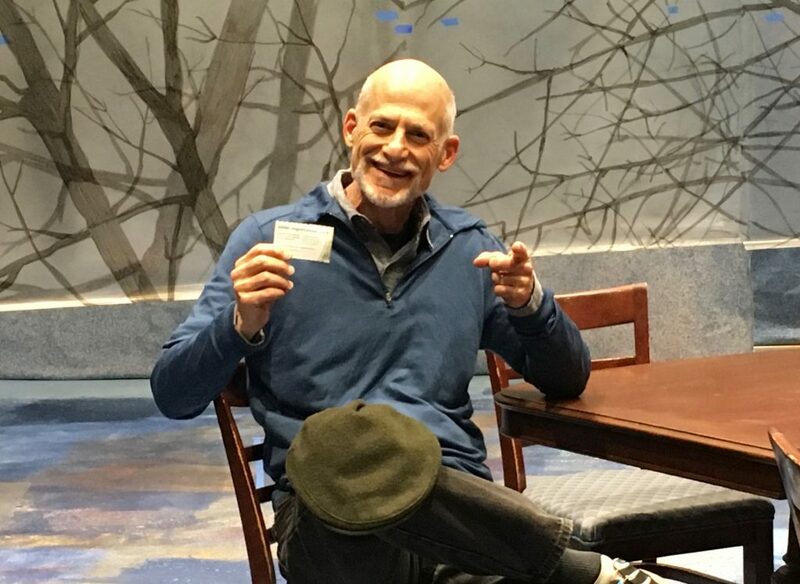 To help, we’re inviting Congressional District 7 candidates to the show on whatever date they can make it; if they accept ,we’ll host a post-play discussion then and there about the themes of the play, and how they connect to choices we make every day. We’ll keep you posted. 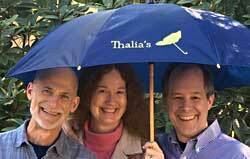 Thalia’s Umbrella is working under the non-profit umbrella (of course!) of Shunpike. To learn how you can make a donation to help Thalia's Umbrella, please visit our Donate page. © 2012- Thalia’s Umbrella. All rights reserved.